Samsung have unveiled the Galaxy A70, the newest smartphone in the popular Galaxy A range. 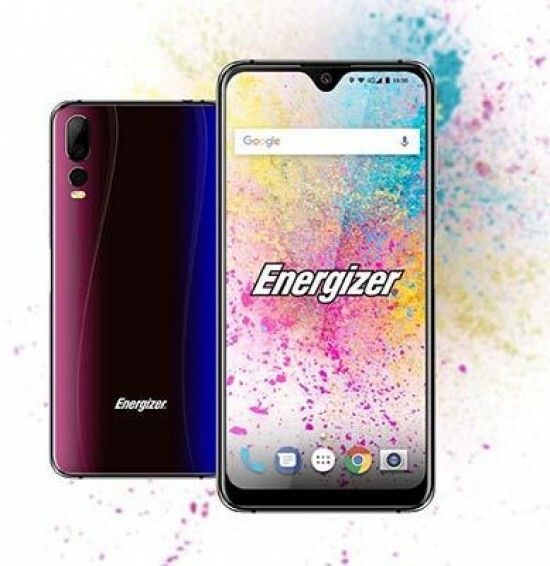 This new mid-range smartphone showcases a stylish design, large infinity display, enhanced triple camera, powerful battery and seamless connectivity. The Samsung Galaxy A70 will be available in the UK from 26th April priced at £369. Created for photography enthusiasts, the limited-edition Nokia 9 Pureview comes in Midnight Blue priced at £549. It's now available to buy from Argos, Amazon, Mobile Phones Direct, Buymobiles.net, very.co.uk and littlewoods.com. The Samsung Galaxy Fold will be available in the UK from Samsung Online Shop and Samsung Experience Stores and via an exclusive operator partnership with EE. Pre-orders for the Galaxy Fold will go live from Friday 26th April ahead of its retail launch on Friday 3rd May. 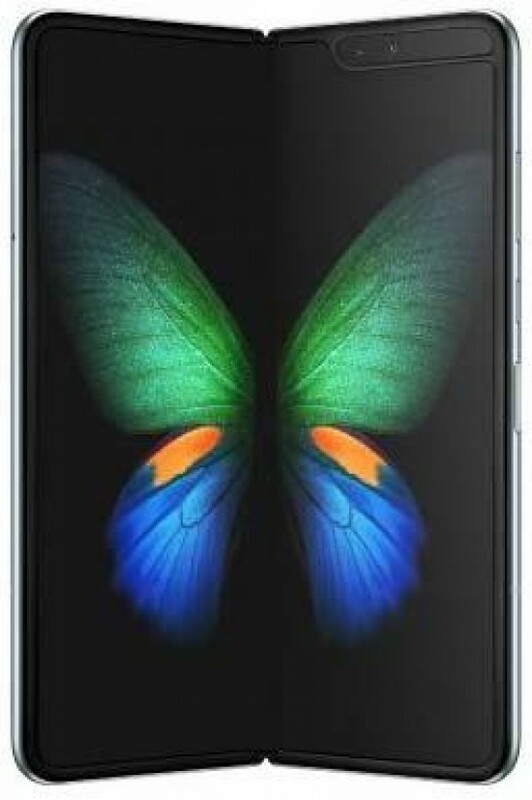 The Samsung Galaxy Fold will be available from Samsung at a RRP of £1800 and all devices will come with Galaxy Buds and a slim-design protective Kevlar case. EE price plans will be announced at a later date. 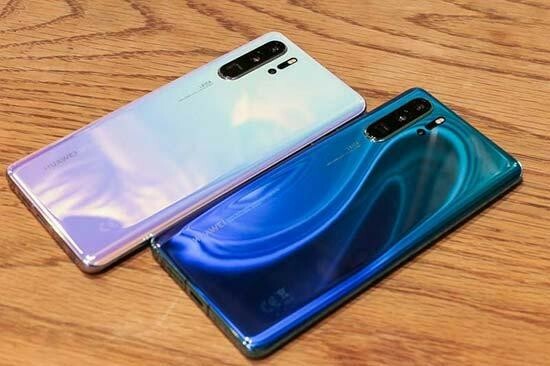 Want to see exactly what the new Huawei P30 Pro smartphone looks like in the flesh? Check out our hands-on gallery of photos of the Huawei P30 Pro smartphone. Want to see exactly what the new Huawei P30 Pro smartphone looks like in the flesh? Check out our hands-on gallery of photos of the Huawei P30 Pro smartphone. 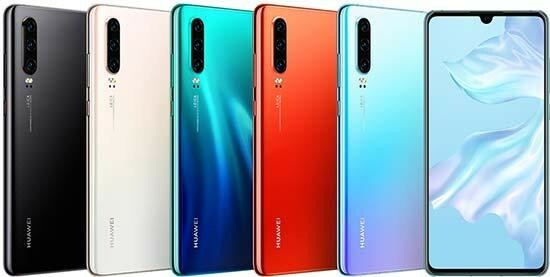 The Huawei P30 Pro is a flagship smartphone that aims to rewrite the rules of photography. The P30 Pro is equipped with a new Leica Quad Camera System, including a 40MP main camera with the HUAWEI SuperSpectrum Sensor, a 20MP ultra-wide angle camera, an 8MP telephoto camera, the ToF Camera and a 32MP front camera that takes selfies to a new level. The Huawei P30 Pro is available now priced from £899 / 999 Euros. 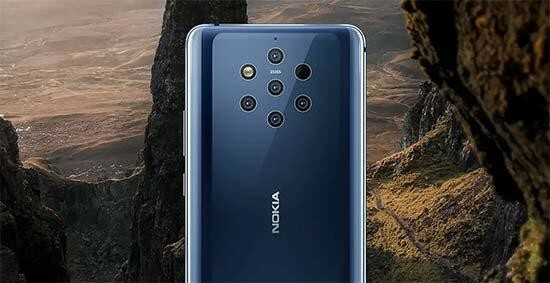 The Nokia 9 PureView is the world’s first smartphone featuring a five camera array system. It has two colour sensors and three monochromatic sensors which give sharpness and detail. All five work together to collect up to 10-times the amount of light than a single colour sensor of the same type. Nokia 9 PureView allows you to capture images in uncompressed RAW “DNG” format and through a partnership with Adobe Photoshop Lightroom allows editing on the device. Nokia 9 PureView is already shipping and will retail for $699 USD. 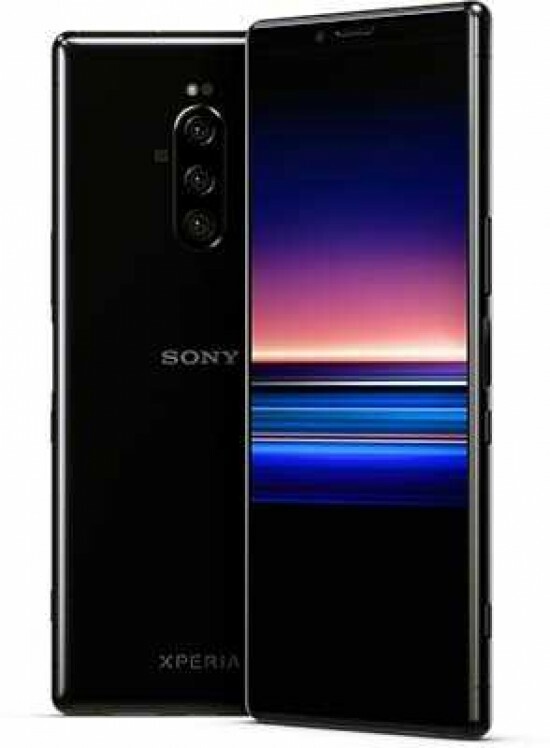 The Sony Xperia 1 smartphone features technologies from the Alpha range of mirrorless cameras, including the World’s first Eye AF in a smartphone, triple lens camera and up to 10 fps burst shooting with AF/AE tracking. The Xperia 1 comes in Black, Purple, Gray, and White (only Black and Purple available in U.S.) with Android 9.0 Pie, and will be available in the U.S. from late Spring 2019. Want to see exactly what the new Samsung Galaxy S10 smartphone looks like in the flesh? Check out our hands-on gallery of photos of the flagship Samsung Galaxy S10+, the Galaxy S10 and the Galaxy S10e. Want to see exactly what the new Samsung Galaxy S10 smartphone looks like in the flesh? Check out our hands-on gallery of photos of the flagship Samsung Galaxy S10+, the Galaxy S10 and the Galaxy S10e. The Samsung Galaxy Fold features the world’s first Dynamic AMOLED Infinity Flex Display, endless multitasking possibilities and Samsung's most versatile camera yet, in one breakthrough device. With no less than six lenses - three in the back, two on the inside and one on the cover - the Galaxy Fold camera system has flexibility built in. The Samsung Galaxy Fold will be available from April 26th priced at $1980 for the LTE version. 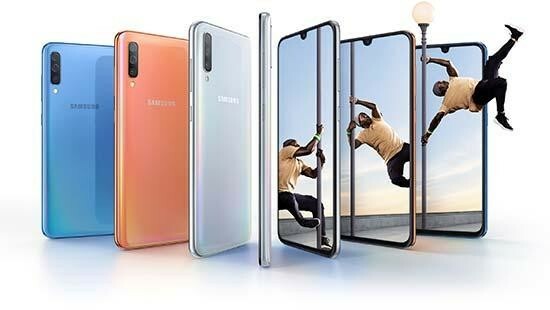 Samsung have just launched 4 new Galaxy 10 smartphones - the Galaxy S10+, Galaxy S10, Galaxy S10e and Galaxy S10 5G. Galaxy S10 is designed for those who want a premium smartphone with powerful performance and sets the stage for the next generation of mobile experiences. For consumers looking for a supercharged device, Galaxy S10+ takes every spec – from display, to camera, to performance – to the next level. Galaxy S10e is built for those who want all the premium essentials in a compact package, on a flat screen. Finally, Galaxy S10 5G is created for those who want more of everything and are ready for the fastest available speeds and the most powerful features. The Galaxy S10, Galaxy S10+ and Galaxy S10e will be available in stores and online beginning 8th March 2019. Pricing starts at £799 for Galaxy S10, £899 for Galaxy S10+ and £669 for Galaxy S10e. Xiamoi have just announced the Redmi Note 7, an affordable new smartphone that uses the Sony IMX586 1/2-inch 48-megapixel image sensor. Initially available only in China, the Redmi Note 7 can take a 48 megapixel image with its 0.8-micron pixels, or combine 4 neighboring pixels into a 1.6-micron pixel to capture a 12 megapixel image with better noise performance and HDR processing. Despite its budget price-tag, the Redmi Note 7 still offers a 2.2GHz Snapdragon 660 processor, 4000mAh battery with quick charge support, 6.3" 2340 x 1080 pixel screen, USB-C and 3.5mm headphone jacks, and a stylish glass body. There are three versions of the Redmi 7 - 3/32 GB, 4/64 GB, and 6/64 GB (RAM/Storage) - with the cheapest costing around $150 and the most expensive around $210. It also supports up to 256GB of expandable storage via MicroSD cards. The Redmi Note 7 goes on sale in China on January 15th 2019. Samsung are set to unveil the Galaxy 10 flagship smartphone on February 20th 2019. 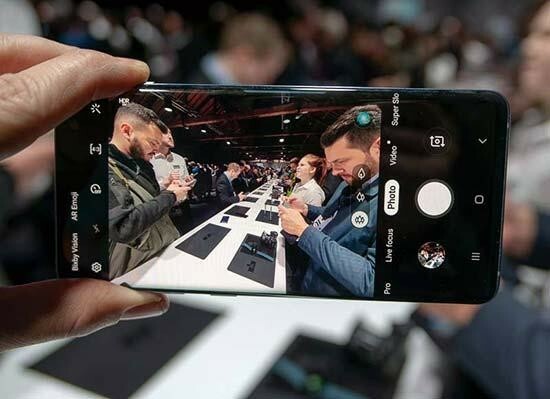 Samsung are skipping Mobile World Congress 2019 to launch their new devices a week before the show. Rumours suggest that not one, but three Galaxy 10 models will be announced at the UNPACKED event. Samsung Electronics will unveil new devices that promise to usher in new Galaxy experiences based on 10 years of innovations. The exciting reveal will take place at a Samsung Galaxy UNPACKED event in London at 7pm GMT and San Francisco at 11am PT. To experience the magic, simply head to www.news.samsung.com/uk, www.samsungmobilepress.com, www.samsung.com/galaxy or www.samsung.com for live streaming coverage on the day. Want to see exactly what the new Honor View20 smartphone looks like in the flesh? Check out our hands-on gallery of photos of the Honor View20 smartphone. Want to see exactly what the new Honor View20 smartphone looks like in the flesh? Check out our hands-on gallery of photos of the Honor View20 smartphone. The Honor View20 is the first ever smartphone to offer a 48 megapixel rear camera. The 48MP camera is powered by artificial intelligence (AI). The new AI Ultra Clarity mode can combine multiple 48MP images into a single 48MP photo, producing a Super Photo with superb clarity. The Honor View20 also comes with an advanced 3D rear camera, which can scan and recognize real world objects. 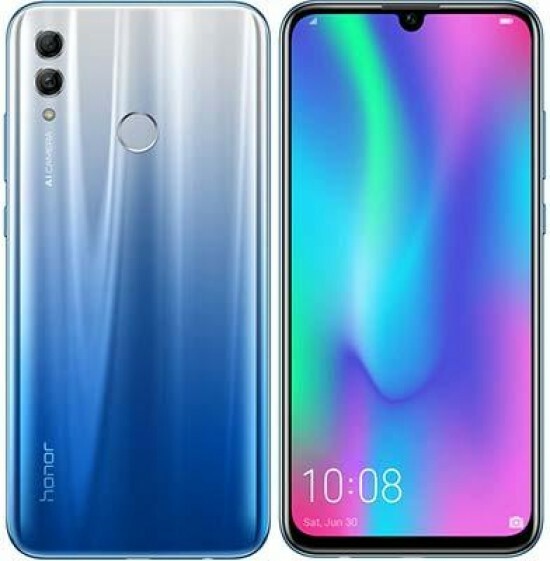 The Honor View20 is available in the United Kingdom priced at £499.99 GBP (6GB RAM/128GB ROM) and £579.99 GBP (8GB RAM/256GB ROM). The smartphone is available in three colours: Midnight Black, Sapphire Blue and the Moschino co-designed Phantom Blue. The new HONOR 10 Lite smartphone has an AI-powered 24 megapixel front camera, 6.21 inch FullView HD screen display, a slim dewdrop notch and a shimmering colour gradient back. Priced at £199.99 the HONOR 10 Lite is available in Sapphire Blue, Sky Blue and Midnight Black from 7th January 2019. 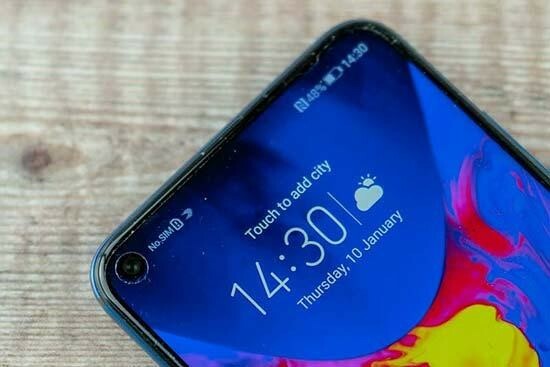 The new HONOR 10 Lite smartphone has an AI-powered 24 megapixel front camera, 6.21 inch FullView HD screen display, a slim dewdrop notch and a shimmering colour gradient back.Priced at £199.99 the HONOR 10 Lite is available in Sapphire Blue, Sky Blue and Midnight Black from 7th January 2019. 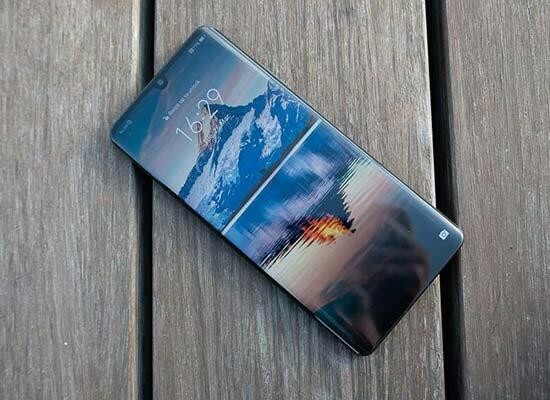 The Smartphone of the Year 2018 award goes to the Huawei Mate 20 Pro. Read our full Huawei Mate 20 Pro review. 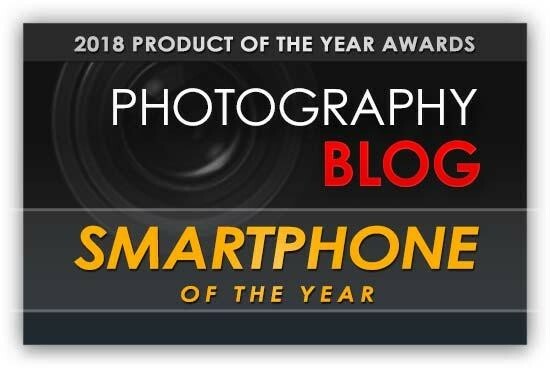 Honorable mentions go to the Google Pixel 3 and the Huawei P20 Pro. The new Nokia 8.1 smartphone has a highly sensitive, industry-leading camera sensor, ZEISS Optics and Optical Image Stabilization (OIS). The Nokia 8.1 is available in three colour combinations, Blue/Silver, Steel/Copper, Iron/Steel, from 14th January 2019 and will retail for an average price of £379.99. 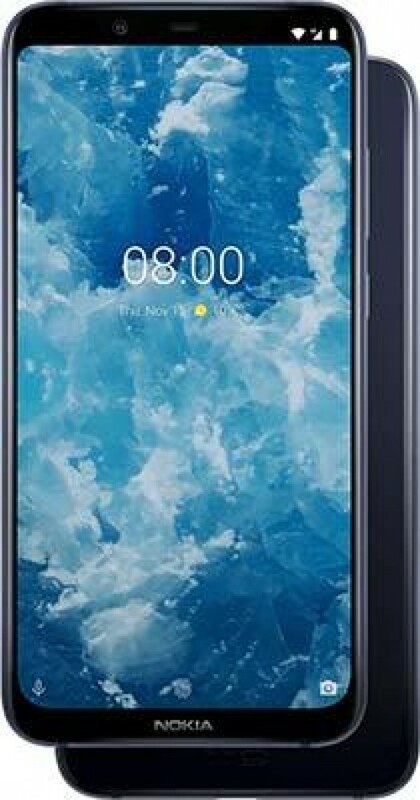 In addition to the launch of the Nokia 8.1, HMD Global are pleased to also announce the Nokia 3.1 Plus will be joining the Nokia smartphone portfolio, available in Blue for £169.99, and the Nokia 5.1 Plus will become available, in Blue and Black for £199.99, from the 14th January 2019.